Berlin’s Green Side es una aplicación creada con el objetivo de conocer los parques más destacados de Berlín. Contiene mapas de cada parque, con la história que los envuelve y los detalles de cada uno de ellos. 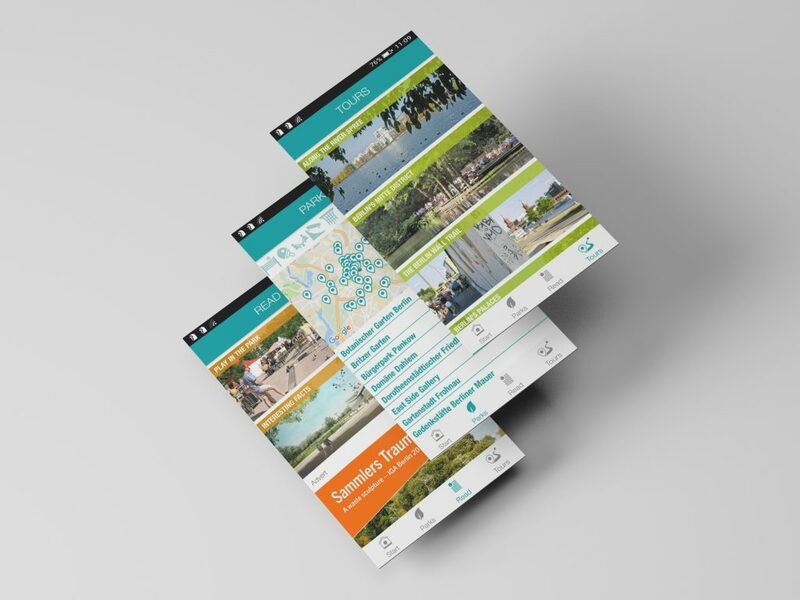 The app Berlin’s Green Side contains an overview of the parks and green spaces in the city and is updated on a regular basis. In this city guide you can filter your search for a park according to the kind of facilities or features you are looking for – like restaurants, playgrounds or basketball fields. When you have found a park you would like to visit, you can share a description of it via your social networks. You can also send your current location from the app to make it easier to meet someone there. The Read menu has instructions for fun outdoor games for groups of any size that don’t require any extra equipment. Learn about the special features of Berlin’s green spaces under the menu item Interesting Facts. The Routes menu offers suggestions for longer theme-based explorations right across Berlin. Handy maps help you find your way around. 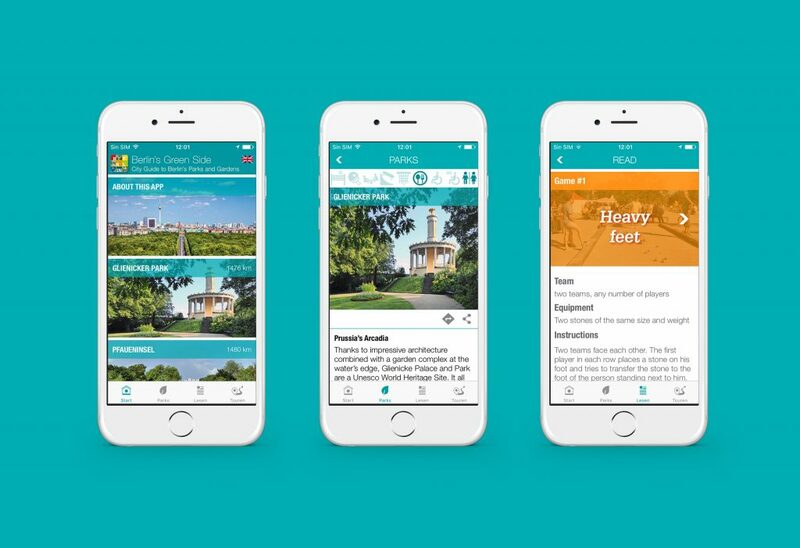 More than 50 parks are featured in the app Berlin´s Green Side for example Mauerpark, Großer Tiergarten, Teufelsberg, Jüdischer Friedhof Weißensee and Tempelhofer Feld.